Laurel's sister May was the brightest star in the sky for everyone who knew her. Beautiful, bold, vibrant, she was everything Laurel has ever wanted to be. But now she's dead and Laurel's world has shattered. Her mother now lives in California, while Laurel divides her weeks between her dad's house and her aunt's. To ease her path into high school, Laurel has moved to one where hopefully nobody knew her sister — which means it's also a school where Laurel knows nobody. Making new friends, coping with high school, falling in love for the first time, dealing with the breakdown of her parents' marriage — that would be enough for any girl to handle, but it's all made so much worse because of what she knows about why May died. Something she can tell no one. Then Laurel's English teacher sets the class an assignment to write a letter to a dead person, Laurel chooses Kurt Cobain — like May, he blazed bright and died young — and finally Laurel has someone to talk to. Soon she's writing letters to more dead people, everyone from River Phoenix to Amelia Earhart, Janis Joplin to Heath Ledger. There's no way she's going to hand in the letters to her teacher but perhaps they can help her to put her life back together. I fell in love with this book. Ava Dellaira's haunting imagery and use of language is breathtaking. 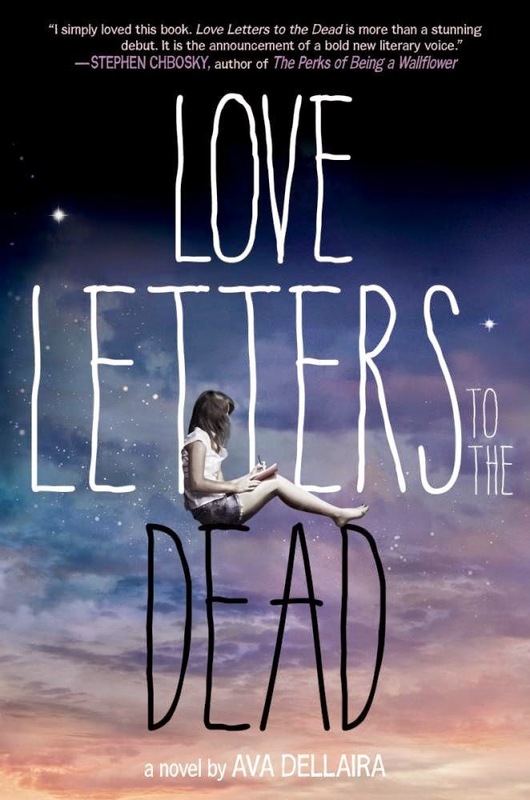 I hope that any young girl facing an emotional crisis or simply trying to work out who she really is gets to read Love Letters to the Dead — it is heartbreaking, inspiring, confronting and comforting. I ached for Laurel and what she was going through. I cheered at the note of optimism and hope on which the book ends. This is Ava Dellaira's debut novel. She is an immense talent; I can't wait for her next book.